The outlook for Western tech firms in China appears to be getting increasingly bleak after regulators recently urged Microsoft to clarify “major problems” arising from data collected in an ongoing antitrust investigation. Despite all it has done over the past year to appease Beijing, and the fact that its operating systems are still used by the vast majority of Chinese consumers, the US giant is still being treated with barely disguised hostility by the government. Whatever happens, if we’re to assume that even Microsoft’s days are numbered in the (very) long term, then there’s little hope for the rest. And well it might be, given it has very little choice in the matter. The latest statement from SAIC didn’t specify what exactly the issues it found are, although it said it wants Microsoft to respond in “a timely manner”. However, the antitrust investigation first began back in 2014 after local companies apparently complained to the government that Microsoft didn’t release enough technical information about Windows and Office products, causing compatibility problems with other software. There were also complaints that IE and other software had to be downloaded along with Windows, and that customers were forced to buy the whole Office package, rather than individual elements, potentially breaking Chinese anti-monopoly laws. All of the above could be true, of course. But this kind of regulatory harassment hardly does anything to break the stereotype of China as a country keen to accept foreign investment with one hand but then penalise those same companies with the other in order to give local players a helping hand. The arguments are well worn and articulated pretty well in this New York Times story. They contend that the antitrust investigation was actually sparked by Microsoft’s decision to end support for Windows XP – then still hugely popular in the country. Even though most of the country’s users acquired pirated copies of the OS and so wouldn’t be eligible for support anyway, the firm was still criticised for its decision. 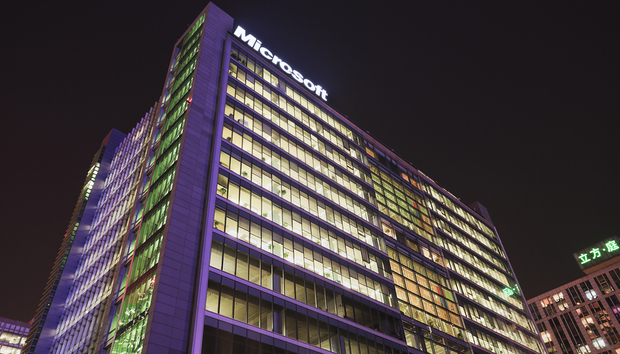 For its part, Microsoft has done what it can over the past year to smooth the waters with Beijing. Satya Nadella famously hosted a high level meeting between Xi Jinping and a delegation of Chinese tech leaders, and their US counterparts. Microsoft has also sought to strike deals to improve its standing in the Middle Kingdom, for example announcing partnerships with Baidu and Xiaomi to make it easier for users to upgrade to Windows 10. And most tellingly, when Beijing effectively banned Windows 8 from government PCs it struck a joint venture deal with the state-run China Electronics Technology Group (CTEC) to license Windows 10 to government agencies and some state-owned enterprises. So what does this dynamic tell us about Western technology firms’ relationship with China? It’s pretty clear that the lure of a huge market of internet, smartphone and PC users is simply too lucrative to turn down. And it would be commercial suicide to do so. But given the increasing hostility Beijing is showing towards Western firms – see Qualcomm’s $975m antitrust pay out, and GlaxoSmothKline’s $500m fine, for starters – it would be wise for tech players operating inside the Great Firewall to spread their risk going forward. For Microsoft, which has located its largest R&D plant outside the US in China, this will be especially hard. But it makes sense, especially considering the looming elephant in the room: home-grown rivals ready to challenge the dominant US players. Chinese Windows challenger NeoKylin is still some way off from worrying Microsoft, but is already available on Dell laptops and desktops in the country and it’s clear which company Beijing would favour in a two-way fight. As Cisco has found to its cost with networking kit makers Huawei and ZTE, when local Chinese alternatives become viable, they will prevail in the Middle Kingdom. If they’re not already, those words should probably be stuck above the boardroom table in Redmond. Will Chinese phone firms dominate at home? « Sci-fi HUDs: A full circle of pointlessness?